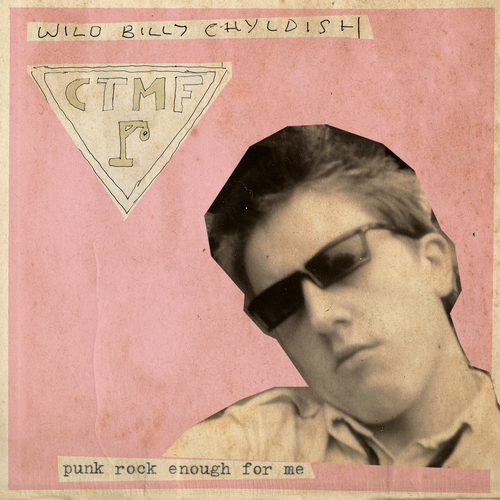 Wild Billy Childish & CTMF are back with a new 7” with 2 exclusive tracks. 'Punk Rock Enough For Me' is the A-side, it's a classic Childish composition giving you a long list of things that are 'Punk Rock' enough for him. The B-side features Ju Ju on lead vocals and it's a proper 1977 punk romp, reminiscent of Alternative TV at their best. There will be Limited edition pressing on Brown vinyl. They are currently recording a few more tracks for their third album 'Acorn Man' which will be out on Damaged Goods later this year. Lookout for a more singles coming out around the world soon, Squoooge and Amphetamine Reptile for a start.